With the same design and quality as the Cashel Crusader pasture fly mask, the Quiet-Ride™ is sheer and translucent to allow your horse to see clearly with out impairing his vision on the trail. 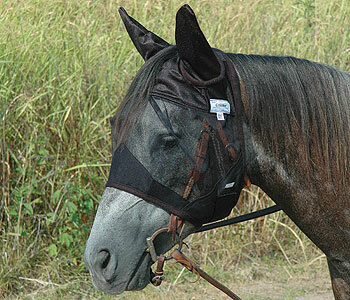 The Quiet-Ride™ can be worn either over or under the bridle and is light weight, comfortable and nonrestrictive. Be confident your horse is protected, giving you a much quieter, safer ride.